If you life is anything like mine you are way to busy with the kids to slave in the kitchen for hours on end! This crock pot recipe is not only delicious but super easy to do. If you have ten minutes to set aside in the morning to get the pork chops going and thirty minutes to spare to mash a few potatoes at night you are going to love this recipe! It’s really nice to be able to sit down to a home cooked meal and crock pot recipes can sure help you do that. 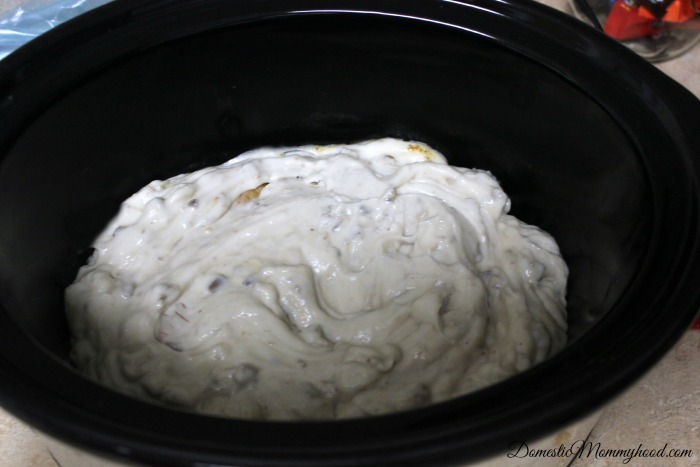 This crock pot recipe is almost to easy to call a recipe! 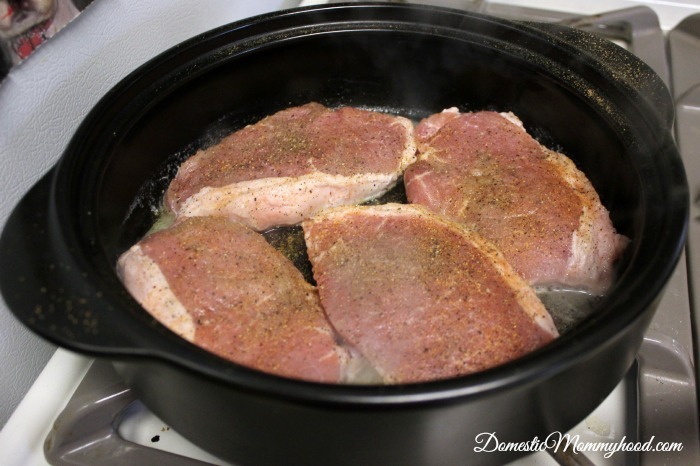 Add a little butter to a skillet and brown your pork chops on medium-high heat for about 2 minutes on each side. You are not cooking them all the way through, just letting them brown on the outside. Go ahead and put your salt, pepper and vegetable magic on each side to taste. Place your pork chops into the crock pot and pour all the cans of cream of mushroom soup on top of them. Add in 5 oz of water and stir it up. I would say this just may be the simplest crock pot recipe that I have ever made. Sometimes simple does not necessarily mean a bad thing! This is one of my families favorite crock pot recipes that we have for dinner and I always get requests to make it! Pair it with some homemade mashed potatoes and corn and your family will beg for more! 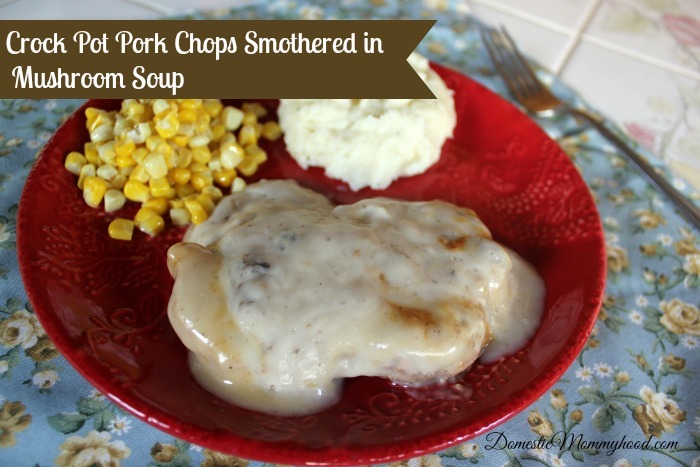 The pork chops are so tender and juicy and I’m pretty sure that this recipe can not be messed up making it our #1 crock pot recipe!